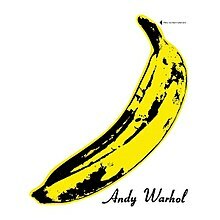 Before Andy Warhol met The Velvet Underground and designed their iconic banana album cover, the Pop artist occasionally sang backup in a band called The Druds. Minimalist Walter De Maria played drums, painter Larry Poons guitar and composer LaMonte Young saxophone. Artist and poet Patty Mucha was the lead singer. “I think it was truly horrible,” Ms. Mucha told Gallerist on the phone from her home in Vermont. “I don’t think we took it seriously enough.” But the artist-musicians were talented, she said, and “the music sounded wonderful. I actually had a good voice—it was pretty snappy in those days.” Jasper Johns handled lyrics—“he wrote absurd lyrics,” she recalled warmly. “She kept the best stuff,” Steve Clay, of Granary Books, said. “And she was wonderfully situated so that she came into contact with a number of disciplines.” Ms. Mucha had trained as an artist, but befriended musicians, poets and other downtown types. She appeared in films by Warhol, made art and worked closely with Oldenburg. She saved most of her letters. After breaking with Mr. Oldenburg, Ms. Mucha, in her mid-30s, became involved with the poet and musician Richard Hell, who was not yet 20. “We had an intense relationship, and we’re still good friends,” she said. One photo in the archive, taken by Bevan Davies around 1970, shows a lanky Mr. Hell posing against a white wall with Ms. Mucha floating in front of him in a short dress, cigarette in hand. They stare down the camera. It is one hell of an image. We asked how she managed to part with it. “I have a better one by the same photographer on my wall,” she replied. Ms. Mucha moved to Vermont about 34 years ago. “I’m trained as an artist,” she said. “But I became like a farmer. I planted, I farmed, I canned. I did all the things you do when you move to the country.” She uses e-mail to keep in touch now, though she occasionally prints out letters that she wants to save.